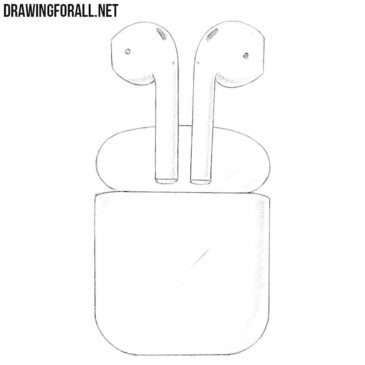 In this post we will try to draw another legend from the rap world. As you can see, we are talking about the legendary Notorious B.I.G. 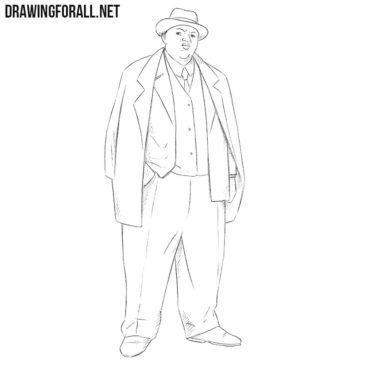 He is also known as Biggie Smalls. 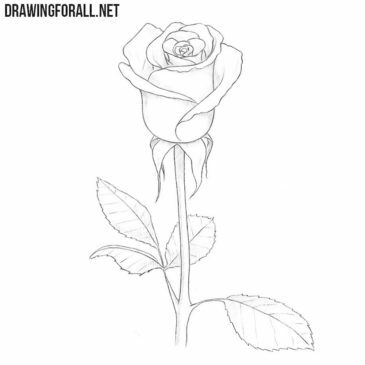 If you were looking for the best guide on how to draw a rose for beginners, then you came to the right address. 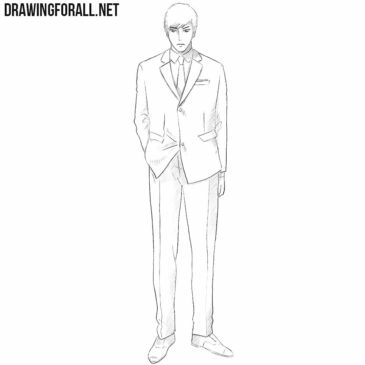 With this very simplified drawing lesson, you will learn to draw realistic roses very fast and easy. 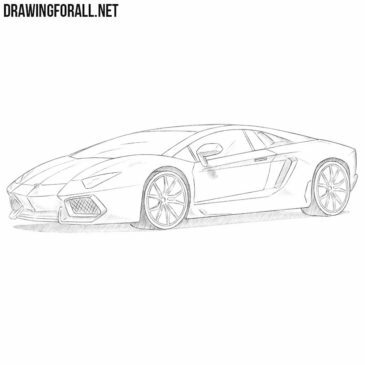 Speed, style and luxury are all combined in Lamborghini Aventador. This sports car has been produced since 2011, and came to replace the legendary Lamborghini Murcielago. In fine art there are very many different genres, and one of the most ancient and famous genres is still life – depiction of inanimate objects. 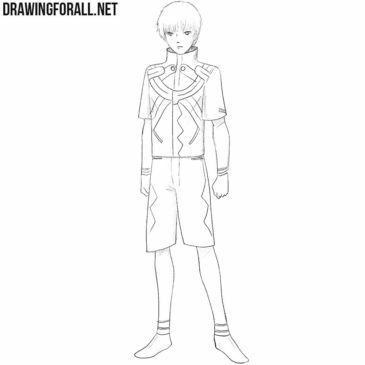 We thought that you were tired of drawing lessons that were too complicated. 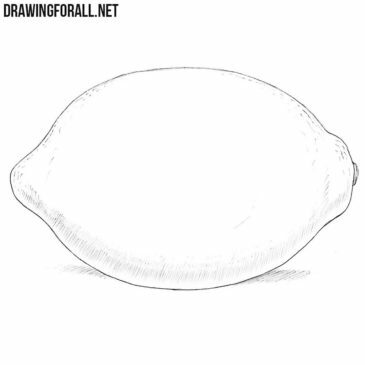 Therefore, we created this drawing guide on how to draw a lemon. 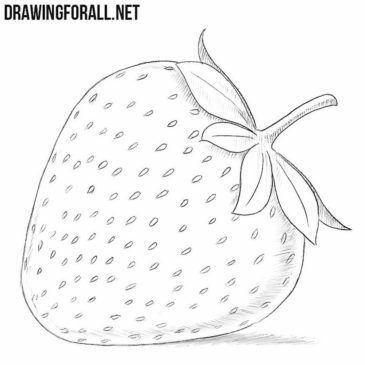 In this drawing tutorial we tell you about how to draw a strawberry. 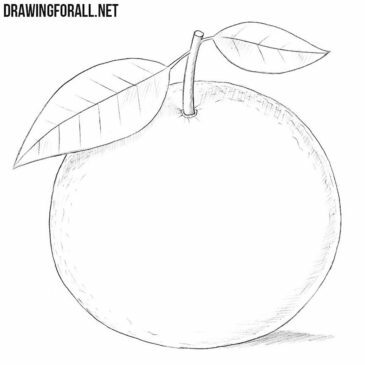 It will be very easy, but in the end of this drawing tutorial we will get a pretty cool realistic berry. 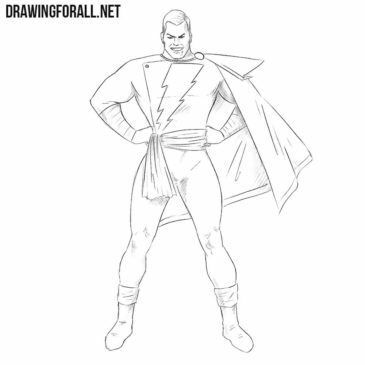 In this drawing tutorial the team of DrawingForAll will show you how to draw Shazam from DС comics step by step.